When healthy cells in your eye change -- or mutate -- and grow too quickly in a disorganized way, they can form a mass of tissue called a tumor. If these problem cells start in your eye, it’s called intraocular cancer, or primary eye cancer. 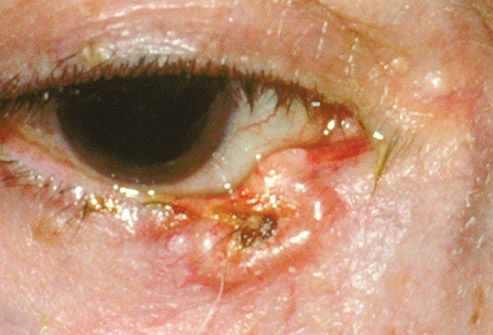 If they spread to your eye from another part of your body, it’s called secondary eye cancer. 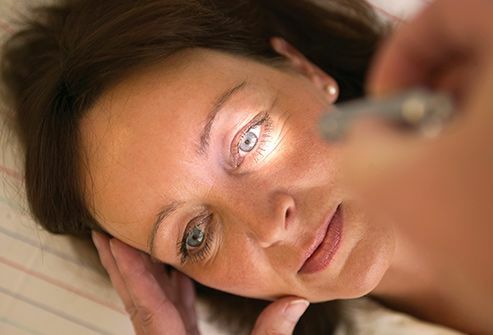 The most common sign of eye cancer is a change in your vision. You may not be able to see well, or you might see flashes of light or spots (floaters). You also may notice a new dark spot in one eye or a change in its size or shape. But eye cancer doesn’t always cause symptoms early on, and these things can happen for many other reasons. 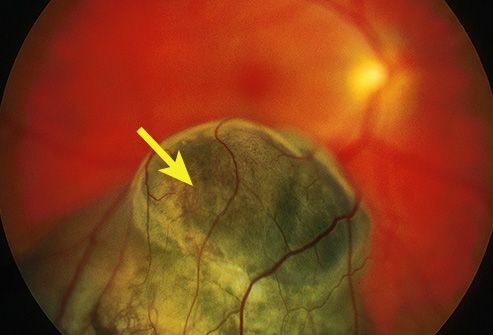 This is the most common kind of primary eye cancer. It happens when cells form a tumor in a part of your eye called the uvea. It has three parts: the colored part of your eye called the iris, the ciliary body (it makes fluid and helps you focus), and the choroid layer that supplies blood to your eye. This layer is where the cells usually start to change and become cancerous. 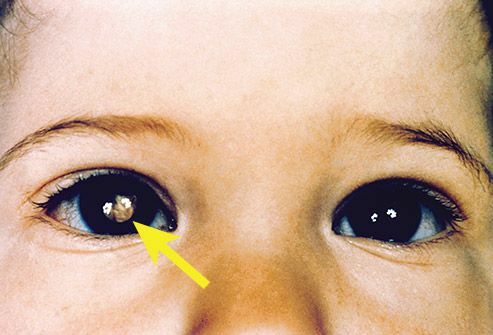 This is the most common type of eye cancer in children, but it's diagnosed in only 200 to 300 kids in the U.S. each year. It’s usually found before age 5. It starts while a baby is in the womb, in the very back part of the eye called the retina. As the baby grows, cells called retinoblasts grow out of control and form a tumor. Sometimes it’s first noticed in a picture, when one of the pupils looks different from the other. 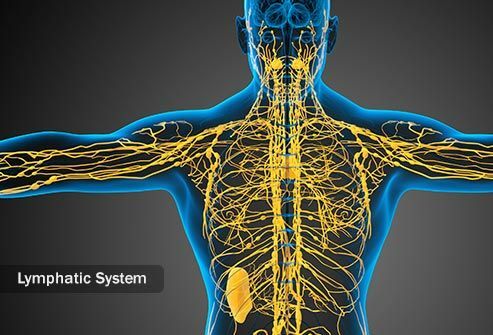 Your lymphatic system is made of lymph nodes -- glands that help you get rid of waste and germs. They’re part of your immune system, and you have them all over your body, including your eyes. 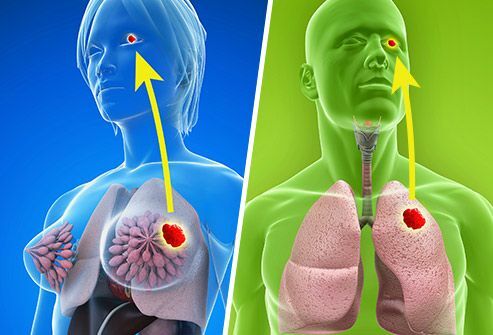 This rare kind of eye cancer starts in those lymph nodes. It can be hard to diagnose because the symptoms aren't the same for everyone. The lining outside your eyeball and inside your eyelid is called the conjunctiva. 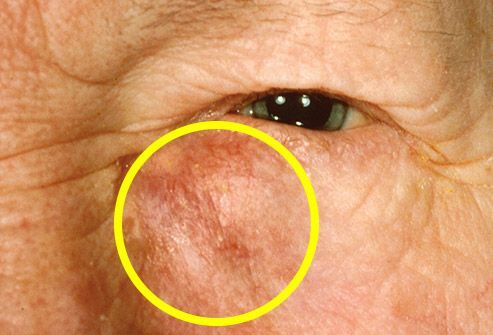 This rare kind of cancer happens when a tumor grows in that lining -- it can look like dark spots on your eye. If it isn’t found and treated quickly, it can spread to other parts of your body through your lymphatic system. 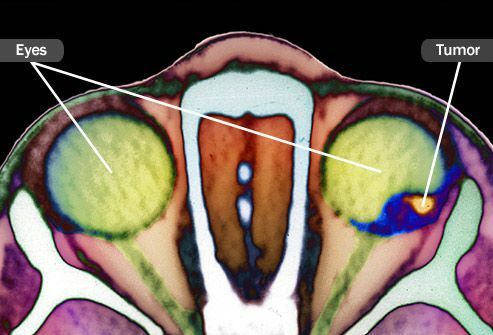 This rare type of cancer starts when a tumor forms in the glands that make tears. They’re called lacrimal glands, and you have them above and on the side of each eye. These tumors tend to happen more often in people who are in their 30s. 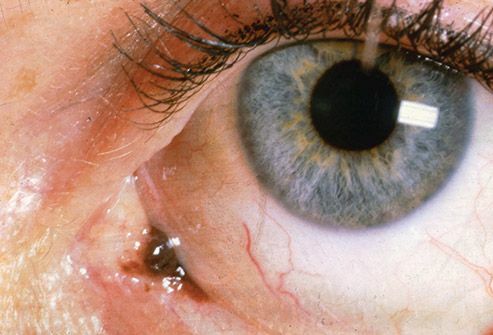 In most cases, cancer doesn’t start in the eye -- it spreads there from somewhere else in your body. That’s called secondary cancer, and it happens most often with breast cancer in women and lung cancer in men. It also can go to your eyes from your skin, kidney, colon, and thyroid, among other places. Your doctor will ask about your symptoms and check your vision and the way your eyes move. He also may use a light and a magnifying lens to look for signs of a tumor in your eye. If he thinks you might have eye cancer, he may want to use imaging scans like ultrasound or an MRI to get a closer look. And he may recommend a biopsy -- he’ll take a tiny amount of tissue from the growth to look at under a microscope and see if it’s cancer. If the tumor is small and not growing fast -- and isn’t causing many problems for you -- your doctor may just watch it closely. 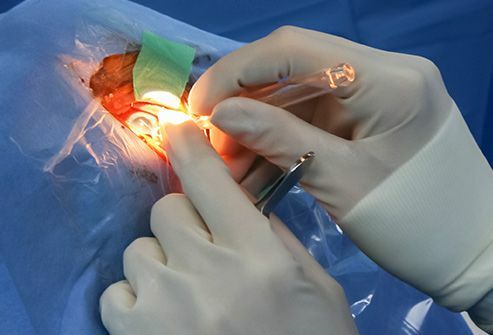 If it gets larger than 10 millimeters around or 3 millimeters tall or starts to spread, she may recommend surgery to take out part or all of the eye, depending on how much of it is affected by the tumor. After surgery, your doctor may use high beams of energy (usually a type of X-ray) to kill any cancer cells that may still be there. But this can damage healthy cells, too, and that can make your eyes dry, your eyelashes fall out, or cloud your vision. 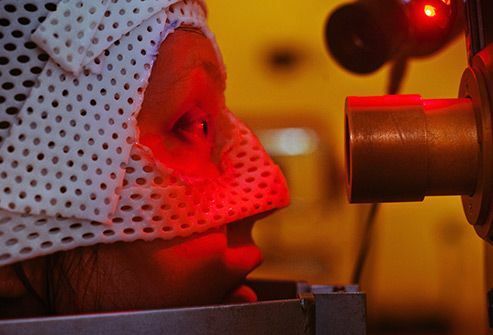 The most common kind of laser treatment, called transpupillary thermotherapy (TTT), focuses a narrow, intense beam of infrared light on your eye to shrink a small tumor. It’s used to treat eye melanoma, because those cells absorb the light energy from the laser. It doesn’t work with intraocular lymphoma. 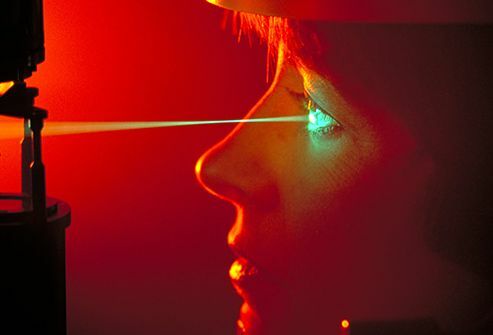 Laser therapy usually causes fewer side effects than surgery or radiation.